We are pleased to release two new oral histories today as part of long-running series on the history of the California wine industry. Many know Margrit Mondavi as the wife of Napa Valley great Robert Mondavi, but what you might not know that she herself had a major impact on the wine industry: she was an early leader in innovative strategies to educate Americans about wine, food, and culture and to market California wine to taste-makers around the globe. 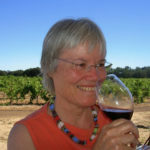 Zelma Long, who we first interviewed in 1991, has left in indelible mark on winemaking in California through key posts at Robert Mondavi, Simi, and Chandon Estates, and, over the past twenty five years, on the global wine industry through consulting work in Germany, Israel, France, and her own estate, Vilafonte, in South Africa. These two interviews also mark the beginning of what we hope will be a reinvigorated wine oral history project — stay tuned for more! Margit Mondavi was born in Switzerland in 1925 and raised in northern Italy. She married an American serviceman who brought her to the United States in the 1950s. In the early 1960s, they moved to Napa Valley, where her life?s work would really begin. She joined Charles Krug winery (owned by the Mondavi family) as a tour guide and, while there, pioneered the presentation of performances at the winery. She followed Robert Mondavi when he left Krug and started his own winery. A budding romance followed and she eventually married Mondavi in 1980. In this interview, Margrit Mondavi discusses her contributions to the development of wine education, marketing, and sales; she also discusses her combined interests in wine, food, and the arts, and how she brought those together at the winery. Zelma Long, born in Oregon in 1945, is an American enologist and vintner. She attended the UC Davis School of Enology and Viticulture and worked for Long Vineyards and Robert Mondavi Winery, which she served as chief enologist during the winery?s 1970s heyday. In 1979 she was hired to be chief winemaker at Simi Winery in Sonoma County, eventually becoming president and CEO of the winery. While planning for her retirement from Simi in 1996, she and her husband, viticulturalist Phil Freese, started Vilafonté winery in post-apartheid South Africa. In a separate interview released in 1992, Long discusses her years at Mondavi and Simi; in this interview, Long reflects on the history of winemaking in California and the role of women in the industry; the focus of this oral history, however, is the building of Vilafonté and her work as a consultant to many wineries around the globe.